Amazing little game it is. In fact, as far as little games go, its one of the best I've seen. I've only recently discovered it, and unable to find a topic about it here, thought I'd initiate one. Anyone else out there crafting? Anyone with some interesting creations that they'd like to share? So far i've been playing in survival mode, on easy, to avoid having to hide from the monsters every time the sun sets. What i've come up with thus far is a castle of sorts, still very much rough around the edges. Though it has an interesting cellar. (Note, my screen capture app had some troubles capturing from this java based game, but you get the idea. Alrighty, well, here's my monumental waste of time. An unassuming castle, various corridors, and passageways. Did what I could with the blocks. The pit in the back, this small inconspicuous hole breathes light into a massive void. A makeshift staircase/scaffolding leading near the hole, but not too it. 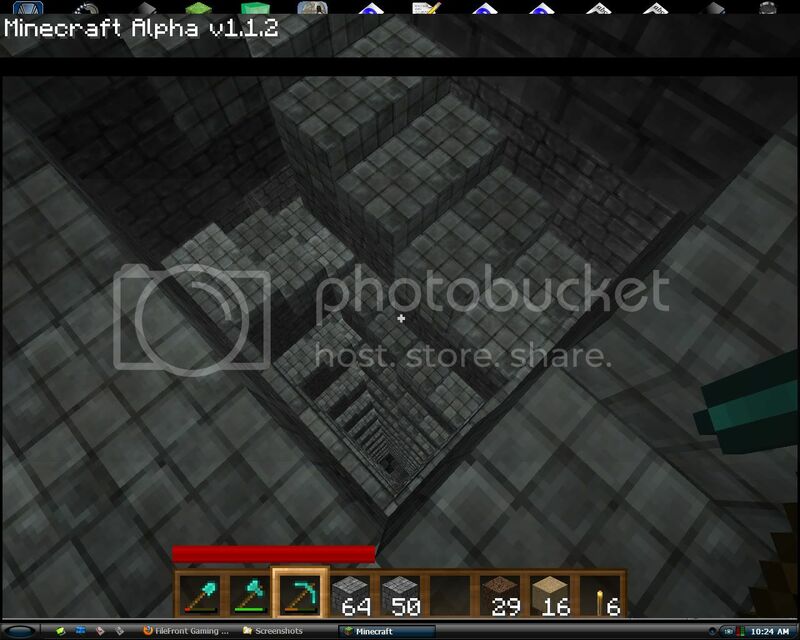 A repeating staircase starting 20 blocks above sea level, ending at the bedrock, where another void is being created. The texture pack I used for the sun/moon, and better overall textures was Browncraft 1.1. Installed with the mcpatcher. 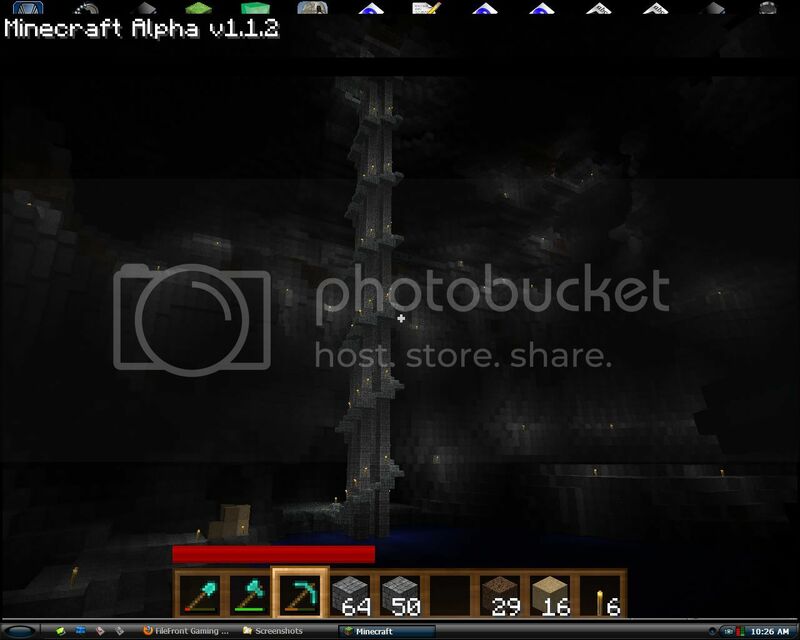 The editor I used to create the underground voids is NBT forge. 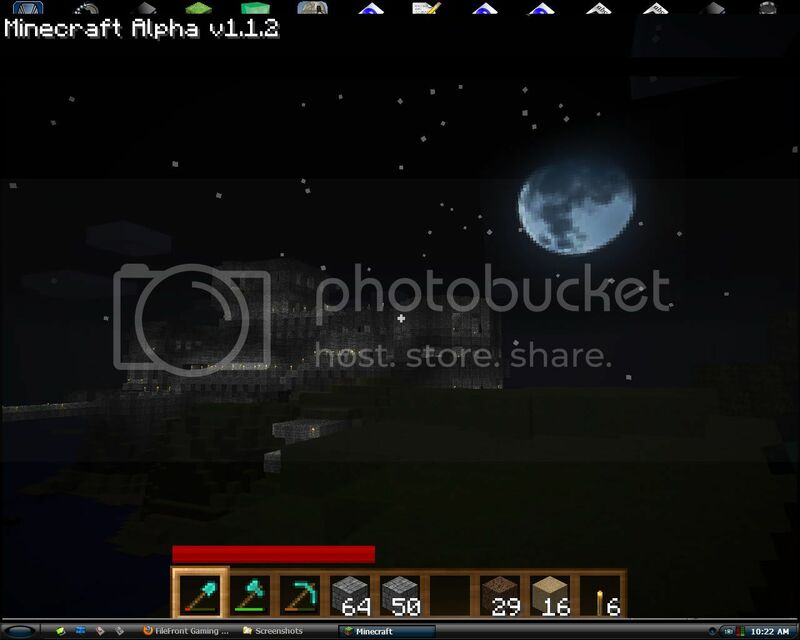 All of these can be attained on minecraft resource sites. as far as I know, plenty of people on the forum plays it, am I one of them? nope. I play it quite a bit. Waiting for the epic Halloween update. And to your picture, lame health bar is lame. What's so lame about his health bar? Meh, it came with the texture pack. Wasn't my idea to have anything done to the hud, but it wasn't optional. I haven't built anything of nearly that scale yet in Alpha. 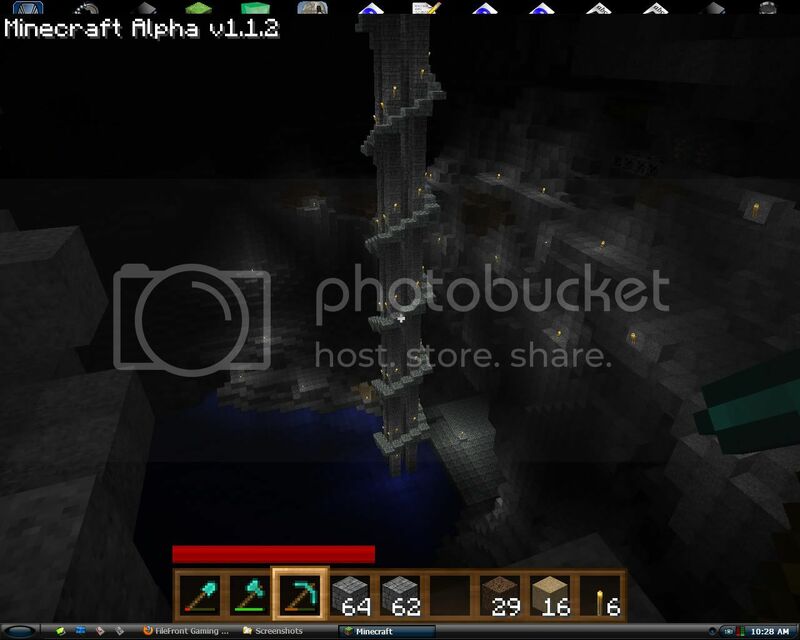 I have plans for a tower right now, and I have a little mine going. That's about it. I do have plans to build a 1:1 Saturn V replica (possibly with launch tower) in World of Minecraft. Whether I have the time to do it is another story. so... whats the objective? to stack blocks? Objective: Do what you want. It's open-ended. 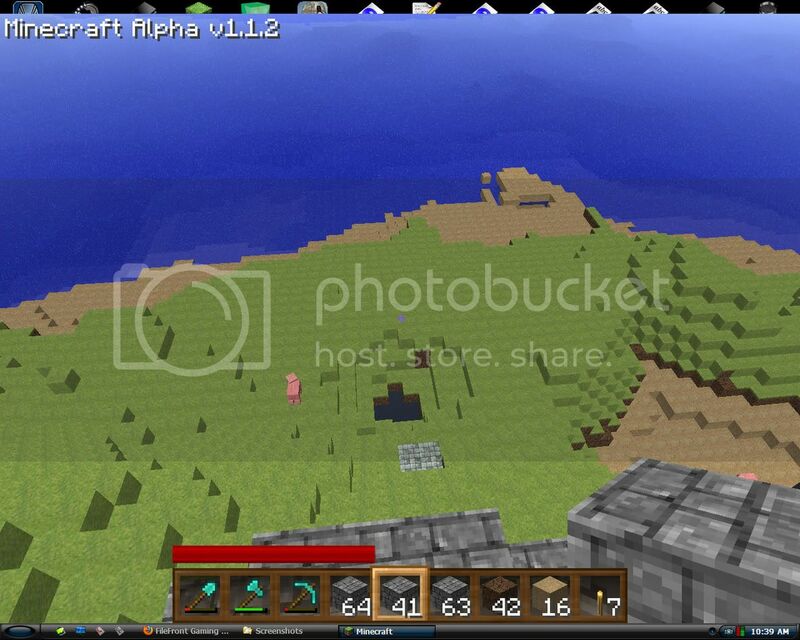 You'll be surprised what people have done on Minecraft.